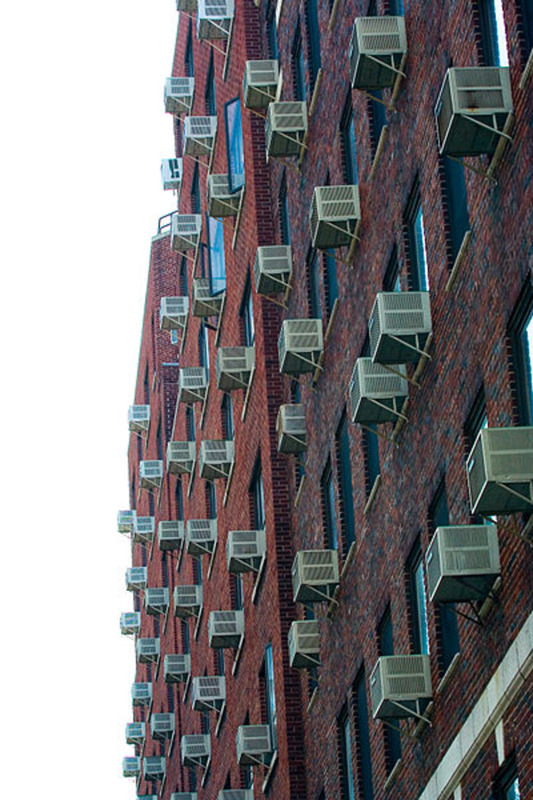 Why Do Air Conditioners Break on Hot Days? "The A/C quit working and it's a hundred degrees outside. It's almost like the air conditioner knows how much we need it and breaks down on the hottest days of the year." This is a statement I've heard many times in my 22+ year HVAC career, and it's funny because it's true. 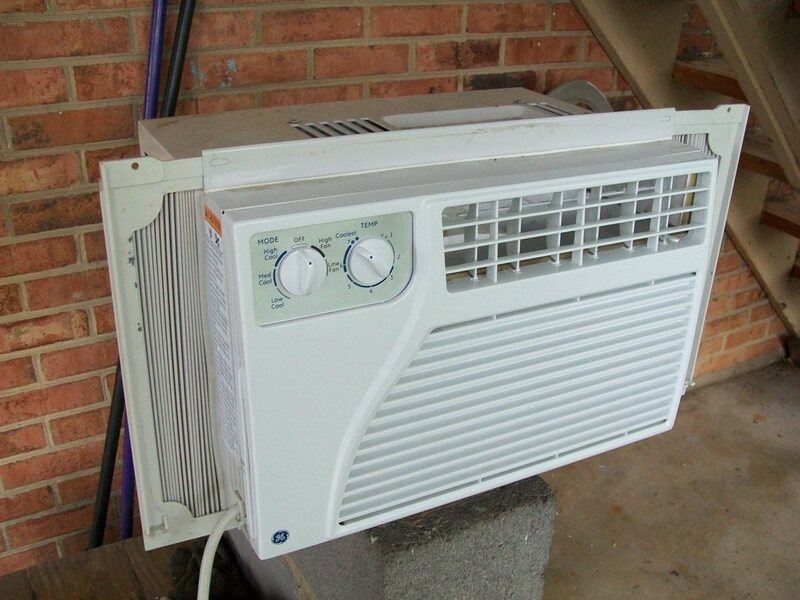 Although the air conditioner doesn't have the ability to "know" anything, you're right, your A/C is more likely to break down on the hottest days of the year. This holds true for nearly any electrical appliance. Heat is one of the worst things for electrical equipment like an A/C. Increased temperatures cause electrical components to run hotter than recommended, and this causes them to fail. When it comes to air conditioning, it is the capacitor and fuses that are most likely to "feel the heat." There is very little air circulation to cool these components, increasing their chance of failure. I'm not saying that they will blow, just that the odds are better on a hot day. Removing and replacing the fuses. Let's get that A/C up and running again without breaking the bank. Think of a fuse like a secret service agent. It takes the shot. 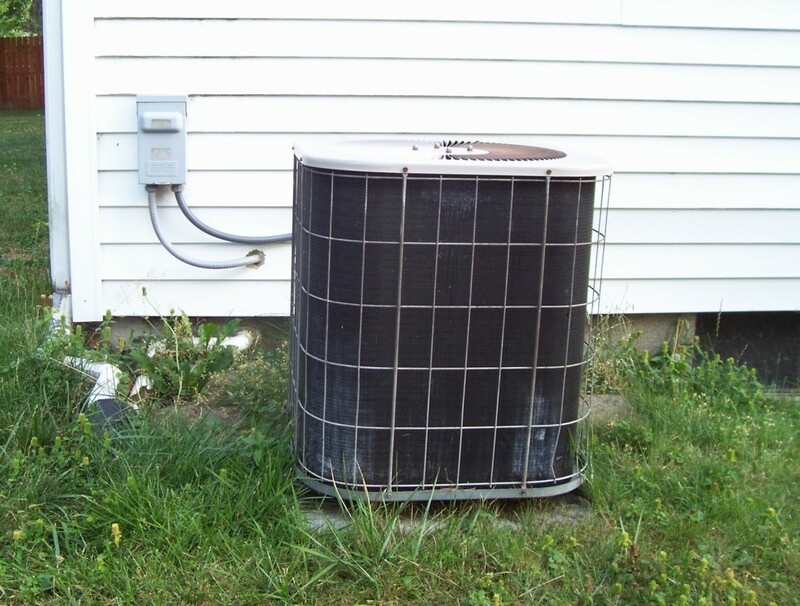 If more amps than the air conditioner can handle try to reach the unit, the fuse will blow to protect the condenser. The fuse is designed to handle a limited amount of amperage based on the maximum amount that the A/C is rated for. If you use a fuse that is too small, the fuse is likely to blow more often but if you use one that is too big it could allow more than the rated amount of amperage reach the unit and cause fatal damage to the system. The same is true of your breakers. Kind of cool, eh? If you suspect your fuses may be blown, the first thing you'll notice is that the A/C unit outside is not doing anything. You may hear a slight humming, but that's all. The best way to check the fuse is by using a voltmeter. Let's go through this process first and then, for those of you who don't have a voltmeter or are uncomfortable testing voltage, I will give you another method for checking the fuses. Why is the A/C Humming With the Power Off? The stat tells the furnace to tell the A/C to run. The furnace sends 24v to the A/C contactor which then connects the power and lets the A/C run and that makes a humming noise. Obviously, we don't have any power but the furnace doesn't know that and will continue to ask the A/C to run. REMEMBER! You are working with live electricity here. We cannot test fuses and voltage with the power off or the fuses removed. You should not attempt to work with live electricity if you are not a skilled electrician. In this case, we are taking a simple voltage reading but must still be careful and confident in what we are doing. Locate your disconnect. 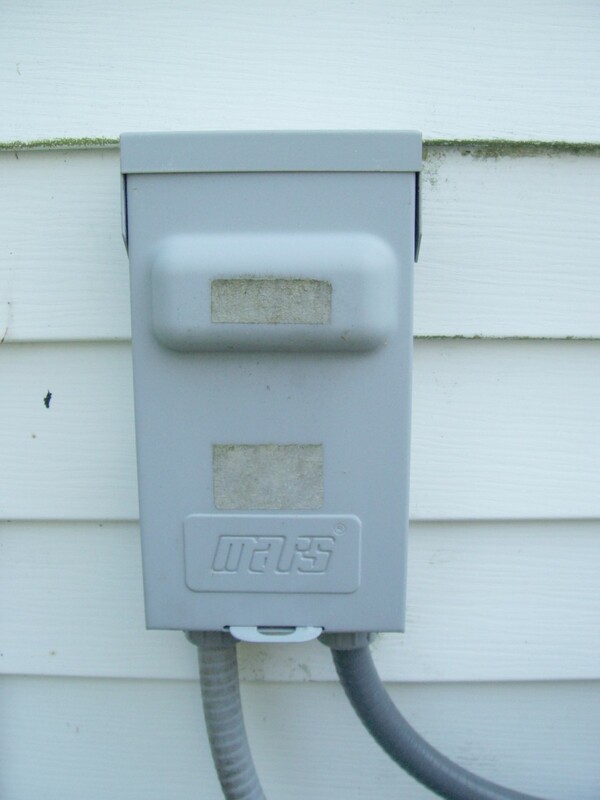 This is the usually the grey box mounted to your home near the outdoor condenser part of your A/C system. See the images below for what it looks like. Open the disconnect. Simply lift or swing open the cover. There may be a small tab on the door that you'll have to apply a bit of pressure to so that it will open. Expose the wiring in the disconnect. There should be another cover inside the disconnect that is protecting the wiring (or protecting you, depending on how you look at it). This should easily pop out or it may be held in by just a single screw. NOTE: Not all disconnects have fuses in them. Though it is most common that they do, and it's code in many states, some do not. If that is the case, they would not be your problem. With the wiring exposed, you should be able to locate the incoming and outgoing wires. The wires will be labeled the "line" (which is the incoming power) and "load" (the outgoing power). This wiring is not like that of your light switch or receptacle (which runs on 110/120 volts), so listen closely: Both wires carry 110 volts, not just one of them. First, set your meter to the voltage (V) setting and make sure that the display reads "0" volts (or infinity). The positive (+) and negative (-) leads need to be placed on the lugs of the "line" side of the circuit or fuses. This means that the red lead from your meter goes the lug of the black "line" wire and the black lead from your meter goes on the lug for the white "line" wire. Your meter should now read voltage in the range of 220 to 240, give or take a few volts. If you see voltage in this range, you've confirmed that you have power coming into the disconnect to your fuses. On the other hand, if there is no reading, then the problem is happening at the breaker panel where a breaker might have been tripped, the fuses are likely not your problem, and it may be time to call an electrician if resetting the breaker doesn't work. If you did see voltage during step #4, then run the same test on the "load" side of the fuses. Again, you hope to see voltage in the range of 220 to 240. This tells you the power is making it through the fuses (like it should). If you read voltage on the line side but not the load side, this means your fuses are blown and need to be replaced. What Are Leads and Lugs? The "leads" are the voltmeter's wires. They have hard metal on the end with insulated grips that make the test safe. The "lugs" are the screws on the disconnect that are housed in a metal block. They are the screws that hold the wires down. One should say "line" and the other should read "load." When you test the voltage, you press the metal end of the lead down on the lugs as directed above. Do you know how to test for voltage using a voltmeter? What If I Don't Have a Voltmeter? For those of you who don't have a voltmeter, it's really not a big deal. You should be able to find the size of fuses you need, buy them at your local "big box" retail store, and put them in to test if they were the problem. Worst case scenario is you'll have an extra set of fuses that you should have anyway and will have only spent a few dollars in the process. It's possible that your fuses are in the same location as the wiring, fully exposed. However, many disconnects have fuses in the handle itself, so you will have to pull the "T" handle out to find the fuses on this type. Either way, you need to pull out the handle to stop the power from running through the fuses while you work. This DOES NOT stop power from coming to the disconnect and fuses on the line side. You should go back and shut down the breaker to your air conditioner to ensure maximum safety. Now you can remove the fuses either by popping them out with your hands if they are in the handle itself or, if not, by grabbing them with a pair of pliers with insulated handles. Never use bare metal handles when working with electricity. So this may all sound like a lot but honestly, it only takes a few minutes to do. Just pop the fuses back in where you found them and turn everything back on before you sweat to death! 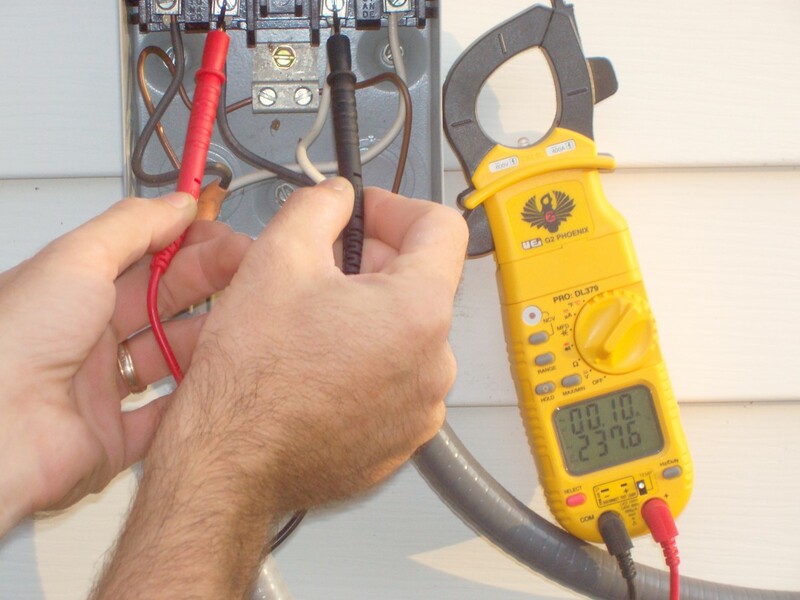 If you're doing even basic home repairs on major electrical components (like your air conditioning unit), it's a really good idea to pick up a non-contact voltage detector. You just probe around with the tip of this little device and it'll beep if it senses dangerous levels of AC voltage in the area. It'll help you to make sure you actually flipped the right breaker before starting work. I use this Sperry Instruments voltage detector. It's just super reliable and pretty inexpensive. I assume if you're reading this article you probably already have one of these, but if not it's a good idea to pick one up. The button below will show you the detector I use on Amazon. Most residential air conditioners are wired into a 25 - 50 amp circuit breaker based on the unit size and maximum amp rating for your specific unit. This will be a 2 pole (double switch) breaker and rated 208/230 volt. Here you see fuses rated for different amps as well as the differences in physical size and how fuse reducers (far left and right) can help fit new smaller fuses to old disconnects. What Kind of Fuse Does A/C Use? It is important that you buy the right size fuses for your air conditioning system. In a pinch, you could use a fuse that is rated for a lower amperage than the ones you need, but never more. As stated earlier, allowing too many amps to flow to your condenser will cause it to break down and possibly be fatal to the unit. 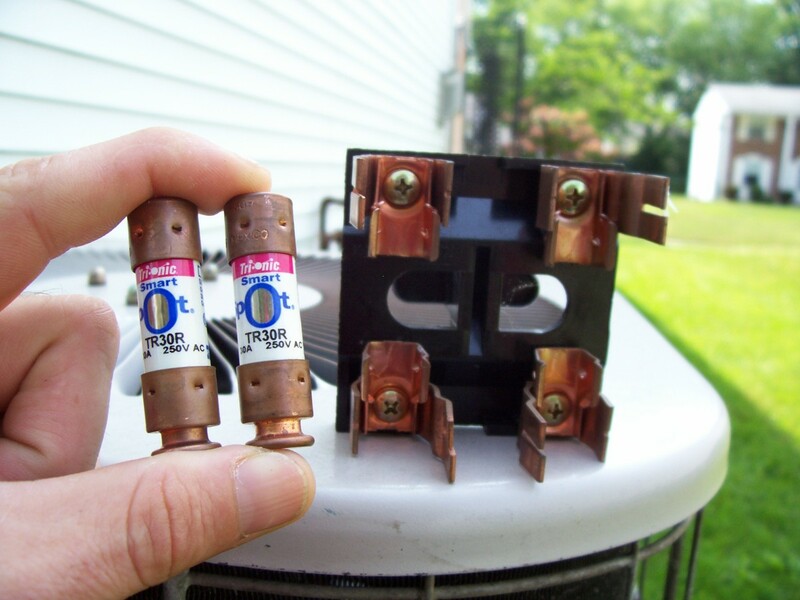 At worst, smaller fuses will blow more easily and overprotect your air conditioner. This means you'll be having this problem again soon. Many times, the fuse size and type (typically a "TR" type) are written right on the fuse itself. If it isn't, then you should be able to get the amp rating of the air conditioner off of the rating plate on the unit. Sometimes these are located inside the access panel on the air conditioner. It should be rather easy to find. If you can't find any amp rating on the fuse or rating plate, you could try and go with a 20 amp fuse (since that is about the lowest rating for any A/C unit) and see if you can get your unit running temporarily while you find out. (Never go higher than the breaker amperage rating.) That should allow some cooling but if it blows as soon as you turn it on, stop there. 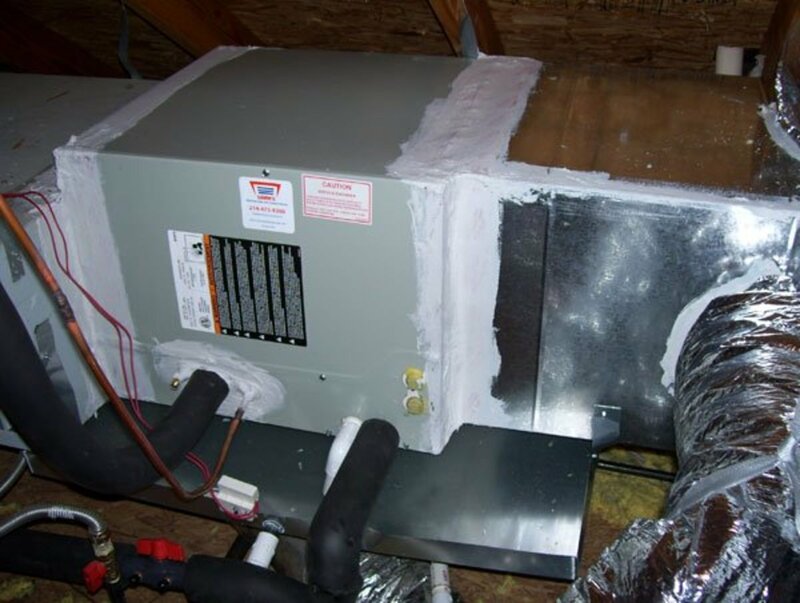 It's either rated for higher amperage and we don't want to guess or there is a short in the wiring and you may want to contact an electrician or an HVAC technician to locate the problem. Simply shut down the breaker to the A/C and turn the thermostat to "off". 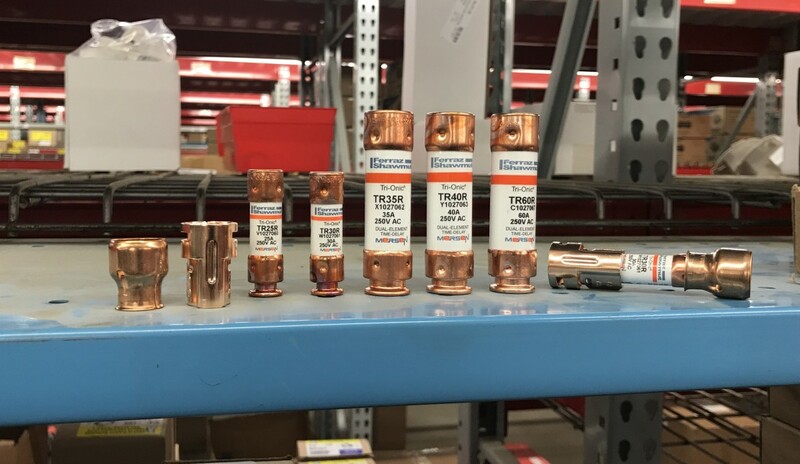 If the old fuses are bigger in size than the new fuses (we're talking about physical size here, not amperage), you will also need to buy what is called a fuse reducer. These will fit onto each end of your smaller fuses and make up the difference of the physical size. If your A/C unit keeps tripping the breaker or blowing fuses, don't just keep replacing the fuse. When a fuse blows, that's sometimes your A/C's way of communicating that there's a problem. If the fuse keeps blowing then there's probably a bigger problem with your cooling system and it's time for you to figure out what it is. It's a problem with your circuit, fuse box, or power supply. Breakers trip and fuses blow when too there's too much amperage in the line. You might try to convince yourself that the solution is to get a larger fuse, but that would be an extremely dangerous mistake. There's something wrong with the capacitor, which is the part in the condenser that helps regulate electrical current. Hot weather + a dirty filter (or a dirty condenser coil) = disaster. The unit is struggling so hard to push cool air through a clogged filter that it overheats and causes the fuse to blow. You should always thoroughly clean your unit at the start of the warm season. The filter is clogged or the motor is blocked. When the individual parts aren't working as they should, the whole system has to work harder to compensate. The electrical connections are loose. Temperature changes can wreak havoc on connections. It's a faulty condenser fan. If the system can't cool itself effectively, it may blow a fuse. The levels of refrigerant are too high (or too low). The unit is just too old. It might be time to hire a skilled HVAC technician or buy a new A/C. Get the Air Conditioning Working Again! I hope this has resolved your air conditioning problem. 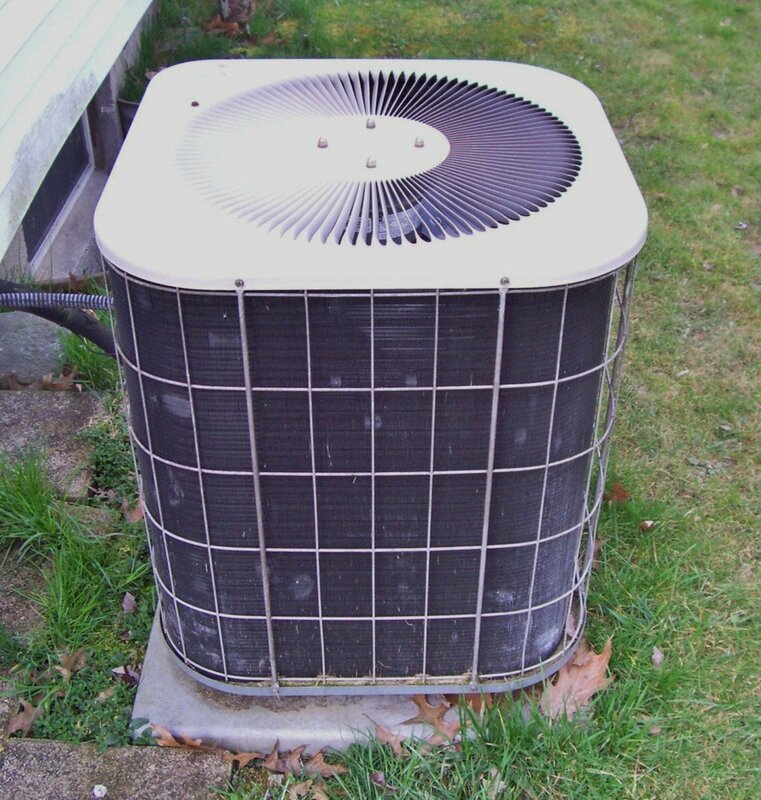 If it hasn't, it may be your air conditioner's capacitor that's the issue. 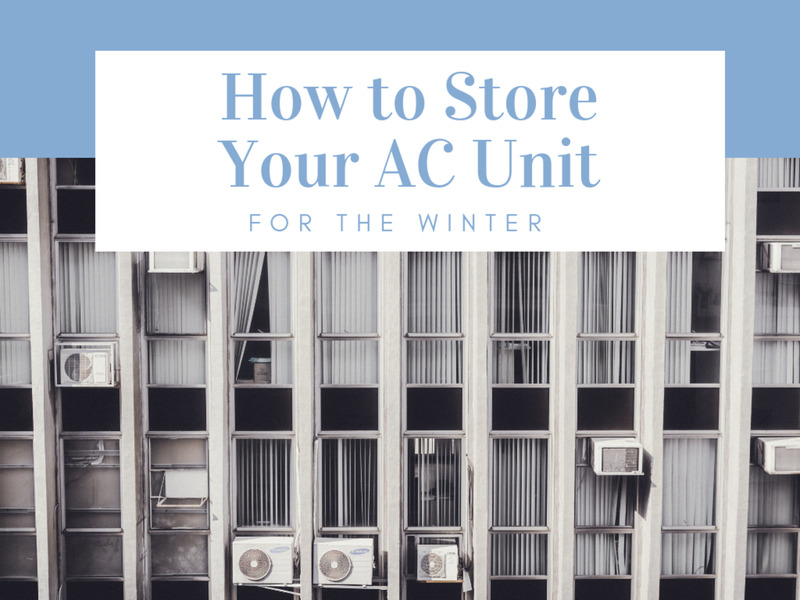 As I said at the beginning of this article, your air conditioner's fuses and capacitor are the most likely components to go out on a hot day. 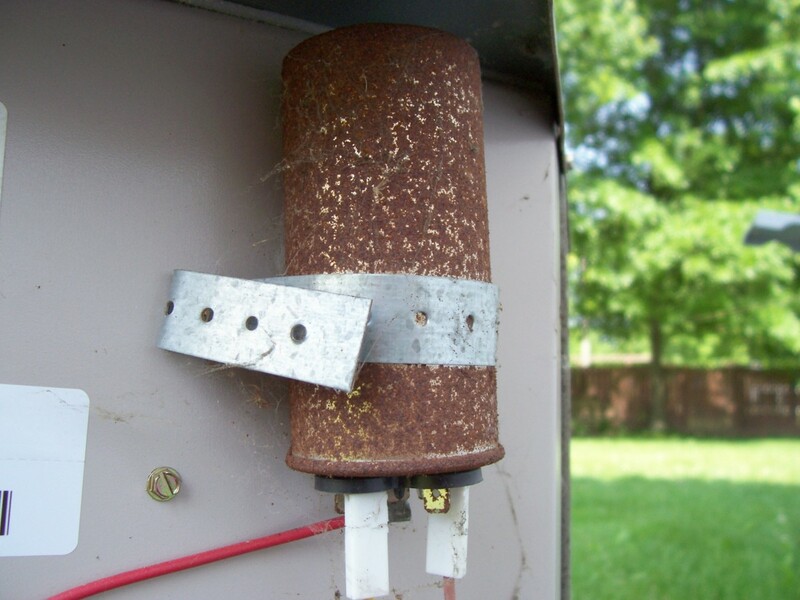 So if you tried what I've listed here without success, have a look at my article How to Diagnose and Repair Your Air Conditioner (A/C) Capacitor. It'll show you how you can find out if it's a blown capacitor that's your issue, and what to do about it. Remember, if what you find in your system doesn't match up to what I've explained here, don't guess. Contact a professional. My A/C only has the breaker box. There are no fuses in the box by the A/C, just a pull tab. The A/C still doesn't come on or provide power to the thermostat. What could be the problem? The pull tab only means that you have a non-fused disconnect, so fuses are not your problem. The fact that you have no power to the stat means either your batteries have died or you have no power coming from the furnace to the stat or the power wire has come loose. Without the stat, there will be no A/C call. Where is the 3 amp fuse located in a Tempstar 2-ton unit? There isn't one on the condenser. Only on the furnace circuit board. There are only fuses in the disconnect (if a fused disconnect) at the condenser, but they are much higher rated than 3 amps. Can I bypass the fuse boxes to run my AC? My roommate took the fuses. The answer is yes, but I cannot in good conscious tell you how because it's a bad idea and fuses are so cheap, so why risk it? The unit should say right on what the "max fuse size" or "max amperage" is, and you can go buy the fuses. They are probably just a TR type fuse. Why are 240 volts leaving the A/C disconnect, but 0 volts are being measured at entering contactors? That would be impossible. 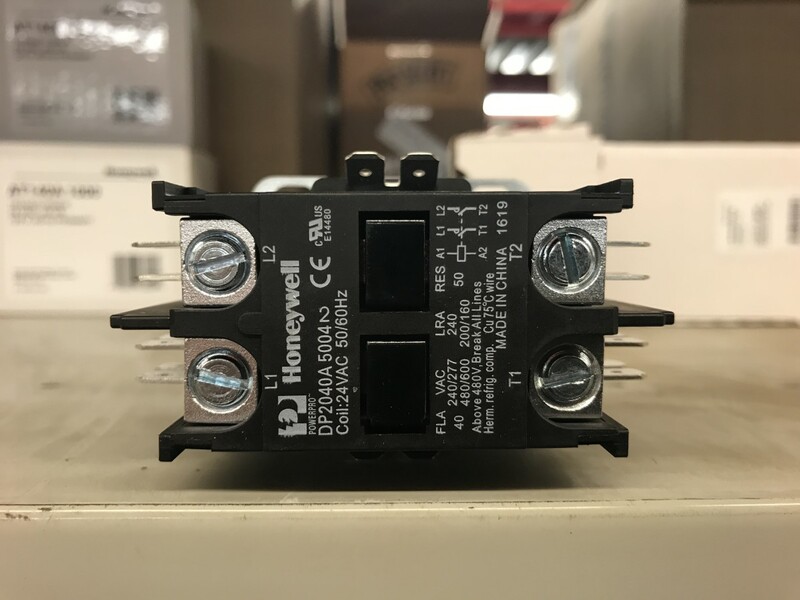 There is nothing between the load side of the disconnect and line side of the contactor, so the measurement has to be the same if measured the same way. When repairing my A/C, does it matter which way the fuses are inserted? No. They are fine either way. I have a blown fuse on my AC. Does it have to be the exact same one? Or will any 20 amp AC cartridge fuse work? If 20 amp fuses were in there then yes, 20 amp fuses should go back in there. Do not put any fuse that is rated for a higher amperage and typically only a “TR” type fuse will fit. I do believe these can be found at places like Home Depot and Lowe’s. My outside unit is running fine, but the fan inside won't start. It just hums. I tried to check the light on the front for a code, but it is not working. Is the problem most likely a fuse? It sounds like that could be the case and is very easy to see. Just pull the fuse off the circuit board and see if it’s burnt. It looks just like that you’d find in your car. My A/C is recommended for 35/35 max fuse, 30/30 min fuse, and the disconnect box says 60 amp. Should I be using 30 amp fuses then? I found 35 amp fuses in the box that blew just yesterday. The box just means it can handle up to 60 amps and the fuse determines what the protection is. So long as the fuse is proper fitting and below the 60 amp rating, it should be fine but not more than 60. How expensive are the fuses? Are the low AMP fuses (3 AMP) for my heat pump/air conditioner split unit always found in the air handler in the crawl space? There are a few high-end systems that may have a 3 AMP fuse in the outside unit but typically, no. Those are found in the furnace or air handler on the circuit board. If the fan on the outside and inside AC unit both come on, then can the fuses be ruled out as the issue? Yes. The indoor fan has nothing to do with the indoor fan, but if the outdoor fan is running, then the fuses are not the problem. How do you determine the size of the fuse if someone stole them and you have no idea what the rating was? The max fuse or amp rating (MCA) should be listed on the unit rating plate. The fuses I pulled out of my air conditioner say HAC-R-35. But all I can find to purchase are FRN-R-35. Is this the same thing? Will it work? Yes. Those will work. Basically you want the amp rating and size to match with a time delay fuse and your all set. We had a severe lightning storm that damages our new A/C unit and furnace. We tried replacing the fuse that blew, but the new one did the same as soon as we put it in. What should we check next? It sounds like the lightning may have shorted the unit or panel if it’s blowing a new fuse like that. You may need an HVAC tech and an electrician. I would probably call HVAC first, but it’s a bit of a coin toss. I was able to replace my capacitor but one of the wires burned off about a month later. Where can I buy one of the replacement wires for my capacitor? And are there different types of wires I need to be concerned about? Or just different colors? This would be something you’d have to get from your brand distributor and yes, there are different types of wire, not just color. What happens when the fuse is hot and the a.c. unit will not run? I recommend you try some of the steps in the article to see if the fuses are the issue. Fuses can get hot sometimes so that by itself doesn't mean they are the problem. Why is the 3 amp fuse blowing in the furnace? There is likely a short somewhere in the low voltage (24v) circuit. Maybe at the stat, or where it connects in the furnace. It could also be the transformer (120/24v). How many amps can I use for my A/C with a fuse of 35 amps? If your A/C is rated for 35 amps, then you can use a fuse 35 amps or smaller, but not too small. There should a minimum fuse size rating as well for the unit. The disconnect needs to be rated properly as well, however, or your fuse size becomes a moot point. Those are usually rated for up to 30 or up to 60 amps, so the fuses should fall within the appropriate range of the disconnect. I was going to replace my thermostat with a Nest. I thought I turned the power off...but I was mistaken. I touched two wires and there was a spark. I put the wires back, but there is no power at the thermostat & therefore the unit does not work. Is there a fuse on the air handler that may have blown? I need to go into a craw space to check it but wanted to know if you have any thoughts on what may have blown. Its a Carrier unit (about 15 years old). ValAdam - Yes it could be and that motor has a capacitor on it that can sometimes be the issue. If you think that's what it is you can replace it for just a couple of dollars to see before getting into larger repairs like a motor or circuit board and if it's not, you're only out a couple bucks. If it is, then you will be fixed up for less than a Big Mac. My outside unit is running. But it's not blowing air inside. Could that be the fan on the inside unit? Would the fan have a fuse also? Amber - Replacing the fuses is really simple so I wouldn't have much reservation about you doing that. It's not much different than changing the batteries in something and you don't have to touch any wiring or anything like that. Beyond that I wouldn't feel comfortable trying to talk you into running electrical tests and messing with contactors and such. Those are items that one should have some mechanical background or knowledge to be safe. Jillane Barbee - Thank you for the kind words. It's always nice to hear back from readers. I'm glad I was able to help even if in a small way. Stay cool! I can't thank you enough for this article. I just plain couldn't afford a tech and I have been without air for a month. I replaced the contactor and capacitor and defrost control board. Tested the air handler, looked for leaks, cleaned up and watched videos and studied, but until your article, I had no clue about the fuses. Tested, line is fine, but my load side is bad. Also saw burn marks on disconnect plug. Going to replace all of it. You may have saved my life and my home from fire! I can't thank you enough for putting out easy to understand, helpful information. I'll be forever grateful. I have learned a lot and even buying several parts was still less than a service call thanks to people like you who give diyers the info they need. Make sure you check your filter and have you had the evaporator coil cleaned? Most never do and if you could see how plugged those get you'd see why they are common enemies of airflow. The outdoor repair would've had nothing to do with the indoor fan however and on hotter days you should expect your cycles to be more frequent. It's the nature of the beast. 10 months ago from Surprise Az. After a repair guy got the unit running, worked great for a week. Then inside fan seemed like it started running slower & seems to cycle to much ( 7 mins. on, 6 mins off- 7.30 on, 5 mins off ) so on. Just doesn't seem to blow strong enough. Vern, I'm not sure I understand. If you replaced the fuse and are having no issues now then that was the problem. If it blew then there was some sort of surge which isn't uncommon and the reason fuses are there. To protect the unit against them. The .5 amp fuse in an LG 48k HVAC minisplit has blown in a snow storm. Runs fine after replacement, no problem codes displayed at either remote or portable thermostat nor at the head. No distress around the control board, nothing obvious wrong. Working many hours after replacement. Where might the problem be? Dorman - Did you have a service contract? If not, the new or old company wouldn't probably cover anything anymore as far as labor is concerned. The parts are covered by the manufacturer however and can be claimed by any service company. Regina - I'd really like to help and though you've given me info, there is still more that I would need to narrow down the possibilities. For now, all I can say is if your husband is comfortable with it and has a voltmeter, he can test various circuits to see where power loss is happening. First at the power to the furnace to make sure you have that, then 24v from the circuit board to the stat and 24v going from the circuit board to the outdoor unit. Check power to outdoor unit as well. These tests would greatly narrow down what's happening. Sorry I can't do more at the moment but thank you for reading. Jeanette - There are internal breakers in many air handlers so it's possible those have tripped but those are usually tied to the heat/heat strips, not a/c. 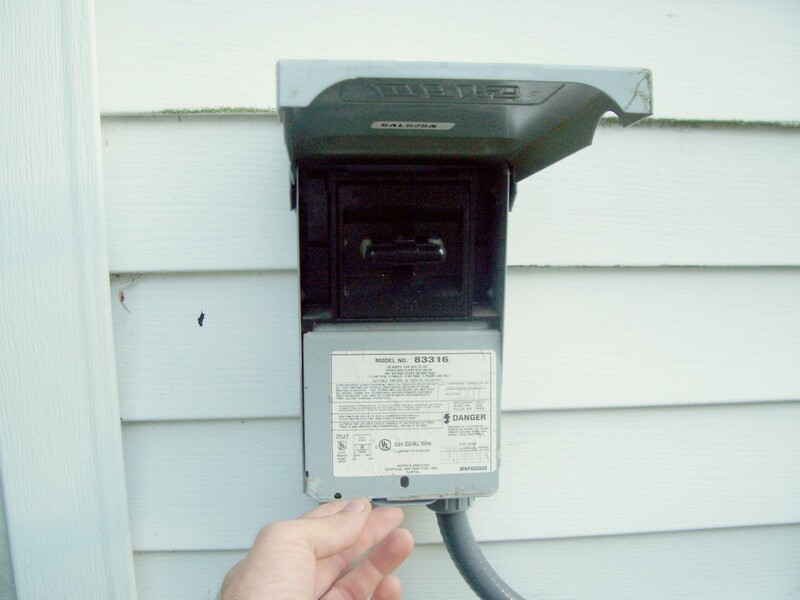 It is on a different breaker in the panel than the outdoor unit so be sure you've checked both. Beyond that, it's possible the board was fried at the outage. Sometimes a surge can happen with an outage or "brown" power that can damage circuits. Your units should be under warranty for parts at least so keep that in mind if you need to call a tech. Thanks for reading. Not sure what kind of system we have. But there are no fuses on the outside in the box on the house. We had a clogged drain which my husband unclogged. We also just changed the filter also. Just trying to give you as much information as I can for you to be able to help me. As not wanting to have to hire someone with all the money we have already Invested. We have replaced our motor and the control board and still have no air or heat. On the thermostat it still shows the blinking snow flake. Which we were told was a sign that it was the fuse on the control board or the control board. What else should we check. TIA! We had an outage (accident in area) for several hours. When power came back on; our AC didn't. We flipped the breaker (didn't come on and neither did the thermostat). The fuse is good outside, fan comes on and you can hear the Freon/coolant running. Inside Air Handler the fan is not coming on, turned temp to 68 (got nothing). I am thinking it is a fuse inside the Air Handler. Any ideas or what the prices are to replace? Kathy - I've just commented back on your other post and am glad it worked out. I'm sorry I took so long to respond but was on vacation. I'm glad it worked out and thank you again! Kathy - And thank you for the feedback. I like to know I've been able to help people with these minor repairs that can cost them a lot of money. Thank you again! I found out that the fuses can go either way, which is what I suspected, but thought I would ask. It turns out that my capacitor was the culprit. The entire top was pushed up and it was very obvious that it was bad. I replaced it, thanks to your instructions on another Hub, and it powered right up. At the time the temperature was 89 in the house and 104 outside! Having a heat wave here in Calif. Cost me $10! Thank you again for taking the time to help others. My husband removed the pullout disconnect when our air conditioner stopped working yesterday and both of the fuses fell out. Is there a right or wrong way to put them in? They are 40 amp in a Mars 83317. (The same model you show, only I'm confused as to the direction yours are inserted.) Does the notch go up or down? I bought new and we put them in with the notch down and the condenser unit hums but the fan doesn't turn. Probably the capaciter. We tried to spin the blade and it worked, but no cold air in the house. Thank you for your articles. Beau, Sounds possible that the capacitor is bad. It's a pretty easy fix if so. Cheap too. I've written on the subject here on HP. Thanks for reading and commenting. We have circulation throughout the house, but the AC unit itself won't come on outside and fan doesn't turn. Changed fuses and tried again, but nothing. Any ideas??? Power typically enters both fuses from the top and leaves through the bottom. Sounds like you still have one blown fuse. Can't be 100% from here but that's what it sounds like. Thank you for reading. Hello Dan, My Ac quit so I checked the fuses. Its 240 Volt so I checked both leads from the House Panel and the left side was not getting 120 so I figured it was the fuse. Replaced fuse on the left side and turned on the power at the house panel and checked the voltage at the unit panel and again same issue, the left side no juice. I switched fuses left and right turned on the power again and now the new fuse has power on the right side and the old fuse on the left has no power but it was working on the left side before. I checked the power on the top of the fuse on the left side and it is good but no power at the bottom of the fuse. The T handle is in and I checked power from top to bottom so I know that is good .What am I missing. There are different kinds but it's often just referred to as the pullout handle, fuse holder, T handle, disconnect...there are a lot of names for it. Sounds like it COULD be the contactor. It may be dirty or bad. The hum is the 24v trying to pull in the magnet to complete the connection. If it's humming but nothing is happening...you're hearing it's effort from what I can tell. Be sure to check your breaker first. If you don't have fuses then it may have tripped the breaker. The hum has nothing to do with the breaker power so you can hear that thinking you have power when actually you don't. Just some suggestions and don't mess with the contactor unless you're confident on how to work with the electrical. It's not hard but it can be very dangerous if you aren't sure what you're doing. Thanks for reading. Replaced capacitor. Still humming. Inside unit running nothing on the outside. But humming. Any suggestions. We don't have fuses on the outside. G Attore - Since I don't know what you have, I'm going to suggest you look to a local professional or someone you know who can help. Thank you for reading. The box containing the fuses is different from the one described by you. Tony - Thank you kindly for the feedback and am glad I was able to help! Great post! Thanks for the information! My AC broke down in the 90+ degree heat yesterday. I followed your instructions and discovered it was a blown fuse. It probably save me hundreds of dollars and I learned something new. Thanks again! Lisaq - I've other articles to help you troubleshoot your problem. Some contractors install non-fused disconnects. In your case, if there is NOTHING going on at the unit, start by checking your breakers. From there, it could be an issue in the furnace. You should at least hear a humming noise if your stat is asking the unit to come on. What should you do when your unit does not have fuses? There are no sounds coming out of the unit. Thank you word55! Thank you very much! Hey Daniel, Congrats on HOTD! These were expertise tips. Actually a great lesson. An AC person probably would charge a hundred dollars or more, without the owner's knowledge that only the fuses may need replacing after a break down. Voted up! Thanks for these tips, Daniel! Wow, you sure are a handyman! Now I know how I can cut costs, as I constantly call the A/C service men. Daniel, congrats on HOTD! Perfect timing too, since it's summer when you need ACs. Very good hub on how to replace the fuse in easy steps. Vote up for useful! Barbara - It's always safest to shut down the breaker unless you have a "pull out" disconnect in where the handle itself holds the fuses, then it doesn't matter but if not and the fuses are held in the box, you still have power on one side of those fuses. As for the number of breakers, if you have more than one double pole breaker labeled to your hvac system, then you likely have a heat pump and back up heating system/air handler...in which case only one goes out to the condenser however you could always shut down both to be safe. It is good to know though which is which for future reference. Is it safe to check the fuses without tripping the ac circuit breaker? Circuits are not labeled clearly enough to read and there is more than one double poled breaker. dedra - My apologies. At first I thought your comment was on another Hub. If you've checked the breaker, fuses and capacitor, it might be time to call a tech. Sorry if that's not what you want to hear. Thank you for reading and commenting. @furniturez -You're not the only one because we're so used to being charged significantly more for service. Thanks for reading my hubs and I hope they are helpful to you when needed. I had no idea the replacement fuses were so cheap! This is one task I could probably do myself - I think! I need to study this and try it whenever my system goes out. It's way cheaper than calling the repairman! Voted up and up, and shared!